My undergraduate research project involved tree rings. A lot of them. Sometimes I couldn’t use all or part of tree core because the tree was accidentally bored through part of a branch that was now hidden behind diameter growth. 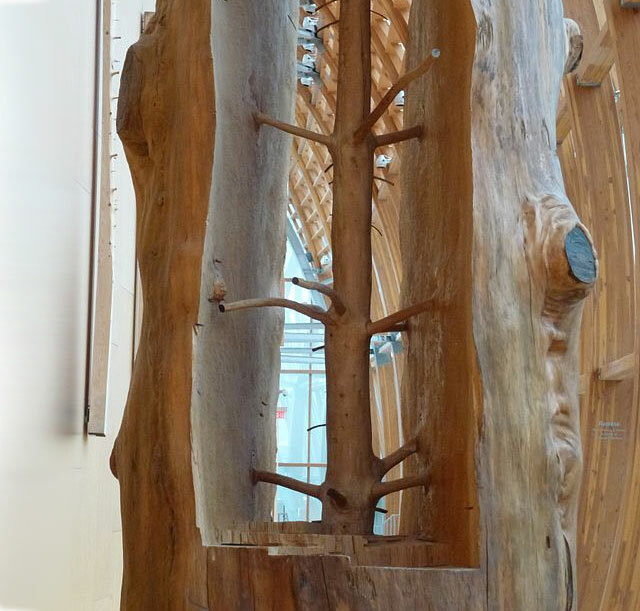 While this was profoundly annoying to me, the hidden history of a branch makes for a beautiful sculpture (via kottke).